As Principal Contractor, VertaseFLI undertook the construction of enabling works required to permit the redevelopment of a former chemical works, for light industrial use. 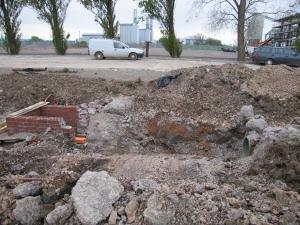 Demolition and clearance of the existing industrial buildings. Construction of new foul drainage systems including package pumping station. Construction of new surface water drainage systems. 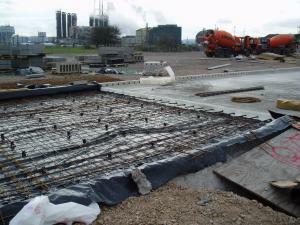 Construction of new reinforced concrete access roads. Construction of new vehicle crossing points over an existing surface water course. Installation of new service connections to each of the individual building plots, including new headwalls and outfall. The above works were programmed and undertaken in a manner which ensured the uninterrupted access to the adjacent industrial facility and ensured the protection of the ecologically important watercourse which bounded the site.